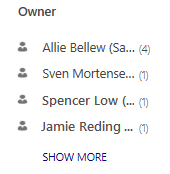 In Dynamics 365 for Customer Engagement, you can search for records across multiple entities by using Relevance Search or Categorized Search. Relevance Search returns search results, sorted by relevance, in a single list. Categorized Search returns search results grouped by entity types, such as accounts, contacts, or leads. To find records of one type only, you can use the Quick Find View in the entity's grid. Relevance Search delivers fast and comprehensive results across multiple entities in a single list, sorted by relevance. It uses a dedicated search service external to Dynamics 365 for Customer Engagement (powered by Azure) to boost Customer Engagement search performance. Relevance Search is available in addition to other Customer Engagement searches you are already familiar with. You can continue using single-entity Quick Find on the entity grid or Multi-Entity Quick Find (called Categorized Search, if you have Relevance Search enabled) by using Search Dynamics 365 for Customer Engagement apps data on the navigation bar. For more comprehensive and faster results, we recommend using Relevance Search. Improves performance with external indexing and Azure Search technology. Finds matches to any word in the search term in any field in the entity. Matches can include inflectional words like stream, streaming, or streamed. Returns results from all searchable entities in a single list sorted by relevance, based on factors like number of words matched or their proximity to each other in the text. Highlights matches in the result list. Relevance Search isn't available for Dynamics 365 for Customer Engagement (on-premises) organizations. Relevance Search is disabled by default. Your administrator needs to enable it for the organization. After Relevance Search is enabled, you might have to wait up to an hour or more, depending on the size of your organization, before you start seeing Relevance Search results in the Customer Engagement web application. Smaller changes in indexed data can take up to 15 minutes to show up in your system. Enabling Relevance Search allows all users in the organization to use it. Relevance search is text-based, and can search only on fields of type Single Line of Text, Multiple Lines of Text, Option Sets, or Lookups. It doesn't support searching in fields of Numeric or Date data type. Although Relevance Search finds matches to any word in the search term in any field in an entity, in Quick Find—even with full-text search enabled—all words from the search term must be found in one field. In Relevance Search, the better the match, the higher it appears in the results. A match has a higher relevancy if more words from the search term are found in close proximity to each other. The smaller the amount of text where the search words are found, the higher the relevancy. For example, if you find the search words in a company name and address, it might be a better match than the same words found in a large article, far apart from each other. Because the results are returned in a single list, you can see a mix of records displayed one after another, such as accounts, opportunities, leads, and so on. The matched words in the list are highlighted. When Relevance Search is enabled for your organization, it becomes the default search experience. 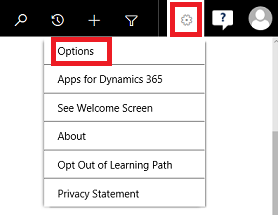 When you enter a search term in Search Dynamics 365 for Customer Engagement apps data on the navigation bar, and then select the Enter key or select the search button, the Relevance Search search results page appears. Search results are shown in a single list ordered by relevance. To learn how to change your default search experience, see Select a default search experience. Start a new search by entering a search term in the Relevance Search search box or in the Search Dynamics 365 for Customer Engagement appsdata search box on the nav bar, as shown here. You'll see hit highlights when your search term matches a term in your app. The hit highlights appear as bold and italicized text in your search results. These are often returned as a portion of the full value in a field because only the matched terms are highlighted. You'll find search results for text in a document that is stored in Customer Engagement, including text in notes, email attachments, or appointments. The following file formats are supported for search: PDF, Microsoft Office documents, HTML, XML, ZIP, EML, plain text, and JSON. You can search for records that are shared with you and records that you own. Hierarchical security models aren't supported. Even if you see a row in Customer Engagement because you have access to it through hierarchical security, you won't see the result in Relevance Search. You can also search for option sets and lookups. For example, let's say you want to find a retail store account that has Pharmaceuticals in the name. When you search for Pharmaceutical Retail, you'll find the result because there's a match to the Industry field, which is a searchable option set. Because your results might include a mix of entities, you can narrow your search results to a specific entity by selecting an entity in the Filter with drop-down list. When you filter on a specific record type, you can include activities and notes related to the selected record in your search results. To do that, select the Search activities and notes for selected records check box to the right of the Filter with drop-down list. The check box is selected after you select a record in the Filter with drop-down list; it is cleared if you didn't select an entity in the Filter with list. The activities and notes are returned as top-level results. To narrow your search results to a specific entity, select the entity under the Record Type section. When you filter on a specific record type, you can include activities and notes that are related to the selected record in your search results. To do that, select the Related Notes & Activities check box. The activities and notes will appear in top-level results. Search results that are found in email attachments or appointment entities are shown in the search results under their parent record, either Email or Appointment. When you refine by record type, the facet scope switches to the selected entity, and up to four facets that are specific to the entity are shown. For example, if you select the Account entity, you'll see the Primary Contact facet in addition to the global facets. All lookups, option sets, and record types are text-based facets. For example, the text-based facet Owner consists of a list of field values and their corresponding counts. Filters in these facets are sorted in descending order by count. The top four facet values are displayed by default. When there are more than four facet values, you'll see a SHOW MORE link that you can select to expand the list and see up to 15 top facet values. Select each value to filter the search results to show only records where the field has the value you've selected. For example, if you select Kim Abercrombie, the search results will show all records where the owner is Kim Abercrombie. When you select a Lookup or Option Set facet value, search results are filtered to only include records with the value that you specified. Like other facets, you can use date and time facets to filter and see search results for a specific time. To select a range of values, drag the slider or select one of the vertical columns. Facets and filters let you drill into and explore the results of your current search without having to repeatedly refine your search term. Configure the facets and filters you want in the Set Personal Options dialog box. The system customizer can set the default experience for all entities, but you can configure your own facets and filters. Select the personal settings button in the upper-right corner of the page, and then select Options. On the General tab, in the Select the default search experience section, for the Facets and Filters field, select Configure. In the Configure Facets and Filters dialog box, specify the facets you'd like to see for an entity. Your system administrator or customizer can set a default experience for all entities, but you can set your own here. In the Select Entity drop-down list, select an entity you want to configure facets for. This drop-down list contains only the entities that are enabled for Relevance Search. For the selected entity, select up to four facet fields. By default, the first four facetable fields in the Quick Find view for the selected entity are selected in the list. At any time, you can only have four fields selected as facets. You can update multiple entities at one time. When you select OK, the changes for all entities that you've configured are saved. To revert to the default behavior for an entity that you previously configured, select Default. If a system customizer deletes a field or makes it no longer searchable, and you've saved a facet for that field, it will no longer show up as a facet. You'll only see the fields that exist in the default solution and that are configured as searchable by your system customizer. Categorized Search returns results grouped by entity, such as accounts, contacts, or leads. You can further narrow the search results by using the Filter with drop-down list to see the results for a specific entity. To switch from Relevance Search to Categorized Search, select Relevance Search, and then select Categorized Search from the drop-down list. To switch back to Relevance Search, select Categorized Search, and then select Relevance Search. The Use last search selection provides the last search experience you used in the current browser client. For example, if you used Relevance Search for your last search, the system will continue using this search until you manually switch to Categorized Search. On the General tab, use the Select the default search experience drop-down list to choose Relevance Search, Categorized Search, or Use last search. By enabling Relevance Search, data in participating entities and attributes in your Dynamics 365 for Customer Engagement instance will begin syncing to and be stored in an Azure Search index. Relevance Search is not enabled by default. The system administrator must enable the functionality within a Dynamics 365 for Customer Engagement instance. After Relevance Search is enabled, system administrators and customizers have full control over the data that will be synchronized to the Azure Search index. System customizers can use the Configure Relevance Search dialog box in Customization Tools to enable specific entities for search and then configure Quick Find views on enabled entities to select the searchable attributes. Data changes are synchronized continuously between Dynamics 365 for Customer Engagement and Azure Search through a secure connection. Configuration data is encrypted and the required secrets are stored in Azure Key Vault. Azure components and services that are involved with Relevance Search functionality are detailed in the following sections. An Azure Search index is used to provide high-quality search results with quick response times. Azure Search adds powerful and sophisticated next-generation search capabilities to Dynamics 365 for Customer Engagement. This is a dedicated search service external to Dynamics 365 for Customer Engagement provided by Azure. All new Azure Search indexes are encrypted at rest. If you opted in before January 24, 2018, you'll need to reindex your data by opting out of Relevance Search, waiting an hour, and opting back in. The Azure Event Hubs component is used for message exchange between Dynamics 365 for Customer Engagement and Azure and to maintain work items that are managed by the synchronization process. Each message stores information, such as the organization ID and entity name, used to sync the data. The processing and indexing of data is handled in micro-services deployed on virtual machines managed through the Service Fabric runtime. The search APIs and the data synchronization process are also hosted on the Service Fabric cluster. Service Fabric was born from years of experience at Microsoft delivering mission-critical cloud services and is now production-proven for over five years. It’s the foundational technology on which we run our Azure core infrastructure, powering services including Skype for Business, Intune, Azure Event Hubs, Azure Data Factory, Azure DocumentDB, Azure SQL Database, and Cortana—which can scale to process more than 500 million evaluations per second. Azure Virtual Machine Scale Sets are elastic and designed to support hyper scale-out workloads. The Azure Service Fabric cluster runs on virtual machine scale sets. The micro-services for processing and indexing data are hosted on the scale sets and managed by the Service Fabric runtime. Azure Key Vault is used for secure management of certificates, keys, and other secrets used in the search process. Changes to customer data are stored for up to 2 days in Azure Blob Storage. These blobs are encrypted by leveraging the latest feature in the Azure Storage SDK, which provides symmetric and asymmetric encryption support and integration with Azure Key Vault. With the December 2016 update for Dynamics 365 (online), the documents found in Notes and Attachments on email messages and appointments are also synced to the blob storage. Azure Active Directory is used to authenticate between the Dynamics 365 for Customer Engagement and Azure services. The Azure Load Balancer is used to distribute incoming traffic among healthy service instances in cloud services or virtual machines defined in a load balancer set. Relevance Search uses it to load balance the end points in a deployment. The Virtual Machines on the Service Fabric cluster running in one or more subnets are connected by Azure Virtual Network. The security policies, DNS settings, route tables, and IP addresses are fully controlled within this virtual network. Network Security Groups are leveraged to apply security rules on this virtual network. These rules allow or deny network traffic to the VMs in the virtual network.